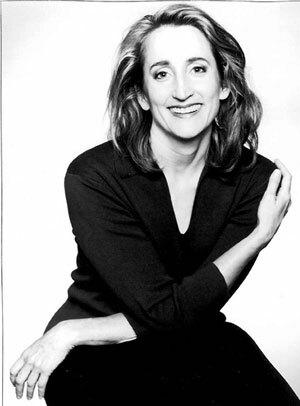 Robin Becker is an internationally recognized teacher who is a professional dancer and choreographer. Robin began studying Continuum in 1992 and became an Authorized Teacher in 2001. Throughout her life Robin has been integrating movement, artistic expression, spirituality and healing. She brings this life long journey to her work with individuals and groups. Her work weaves together her extensive training in both classical and modern dance, numerous exercise systems, twenty years of study within the Sufi Tradition, and her work as a practitioner of Mariel healing energy. Continuum provides Robin with the context for a path of exploration that unites movement, artistry, spirituality, and science. It affirms and articulates a deeply felt longing for an understanding of the body as a teacher of life’s unfolding mystery. Continuum has become the catalyst for her creative endeavors and is the keynote of her current understanding and experience of the body. Robin is the founder and Artistic Director of Life Through Dance, Inc. She has created over twenty original choreographic works that have been presented across the country. As a professional dancer she has performed with the Eleo Pomare Dance Company, the Martha Graham Ensemble, the Pearl Lang Dance Company, and the Denishawn Repertory Dancers. She has served on the faculties of American Ballet Theater, the Fiorello Laguardia High School of Performing Arts, the Omega Institute for Holistic Studies, the Alvin Ailey American Dance Center, the Princeton Ballet Society, and is currently teaching at Hofstra University. Robin has led workshops on creativity and improvisation with musician Paul Horn for many years and has also worked with actors at the Actors Studio in New York. She continues to offer workshops in schools, retreat centers, congregations, and performing arts centers. She has a BA in Dance and MA in Humanities and has taught master classes at numerous universities across the country. Robin is passionate in her desire to share the work of Continuum with the larger world and has a unique capacity to work with people as they seek a deeper connection to life through the body.